We are a volunteer run, non-profit, sustained primarily by your donations. When you donate funds to O Street Museum you are helping to create extraordinary opportunities for our heroes, artists, musicians and patrons who visit to renew, create and grow. 90% of what you see when you visit is donated by patrons like you. From books, to jewelry, to furniture, the items you donate - when sold - provide critical support for the foundation's operations and programs. More than business, O Museum is a way of life. it is not about us, the "house" or our employees, it is about our guests. As a small private museum, we combine art, architecture, literature and inspiration to craft an exhilarating, entertaining experience for all who visit. First and foremost, we strive to put our guests first; immersing them in music, art, literature, architecture and creativity. We create an experience that inspires each and every individual in a positive way. It is a place where dreams come true and where imagination is the rule, not the exception. 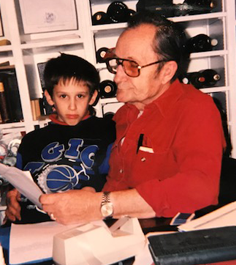 As an extension of our family and the creative process, you need to be: selfless, self-motivated, able to follow procedures, flexible, have blind faith, lots of ambition, and drive. Applicants that display heart and a desire to learn will be considered for volunteer and docent opportunities. There are no paid employees or board members. Everyone is a volunteer. 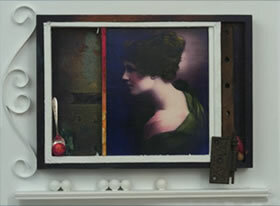 Gerald Johnson's art can be found in the National Gallery of Art, The White House, and the Treasury Department, as well as over three hundred corporate collections in America, Europe and China. He was born in Pittsburgh Pennsylvania and now lives in the DC area. He earned his fine arts degree and completed his graduate studies in printmaking and painting at Carnegie-Mellon University and the University of North Carolina. "The O Museum has challenged my creativity and championed my art. Every artist's dream is to find a receptive audience for their work. Thirty years ago, carrying 10 tiny collages into this mysterious house on O Street I found that audience; always saying "Do what is in your heart." Expressing love is a risk. Same with opening our doors with our on-going artists and heroes-in-residence program. But for those of us who allow our dreams to transform and become reality, there is no risk. By helping others, by sharing our world, what may be risk to some is simply the pursuit of passion and mission to us. When you sponsor a hero and/or artist you are helping to provide them an opportunity to rest, recover, and rediscover their heart and muse. By offering respite to artists, service people, first responders and all those who are giving of themselves to serve others, we can give them hope - and each of us - a chance to renew, create and grow. 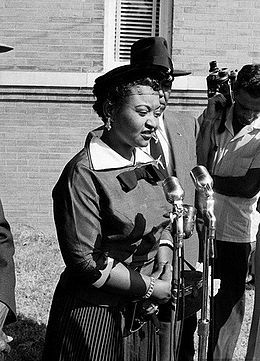 Mamie Till, close friend of Mrs. Rosa Parks stayed in The Country Room as part of The O Museum’s heroes-in-residence program. Her son Emmett Till grew up on the southside of Chicago in the 1940’s. August 25, 1955 he entered a store, purchased some candy and left. The woman at the counter alleged he grabbed her, make crude remarks and wolf-whistled at her. On August 28th, her husband Roy Bryant and his brother-in-law J.W. Milam went to Emmet Till’s Uncle’s house, where he was staying and kidnapped him. Three days later his mutilated body was found in the Tallahatchie River in Mississippi. A month later on September 23, in Milam and Bryant were found not guilty after only an hour of jury deliberation. The tragedy of Emmett Till added fuel to the fire that was the beginnings of the Civil Rights Movement. One hundred days after the murder of young Emmett, Rosa Parks refused to give up her seat on a city bus in Alabama. She said “I thought about Emmett Till, and I couldn’t go back [to the back of the bus].” Both Mrs. Parks and Mrs Till-Mobley became tireless civil rights activists. Our monthly donors' program, is a wonderful way to provide the reliable support that is so vital to supporting the foundation, exhibits and our Heroes and Artists-in-Residence program. Preserving and sharing the creative process is an on-going venture; and to successfully accomplish that, we rely on steady, predictable funding. When you make a monthly commitment to the O Street Museum Foundation, it means our curators and staff can remain focused on exploring and sharing all forms of creative expression. Many donors choose to have their monthly gift charged to a credit card. This option is most efficient as it creates a seamless transaction for all. You can use our safe and secure online form to become a monthly donor with a credit card today. Corporations are an important component of the Museum's funding and outreach. Annual revenue from our corporate sponsors provides critical support for the Museum's operations, including community access, diversity initiatives, and conservation efforts. Aligning your brand with the O Street Museum Foundation offers your corporation a unique opportunity to broaden awareness, meet your marketing goals and build loyal ties in the commuity. Planned gifts are a wonderful way to participate and support the O Street Museum throughout your life and beyond. These gifts provide the resources that create extraordinary opportunities for heroes, artists, musicians and patrons alike. 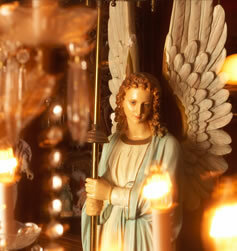 Gifts of art, artifacts, memorabilia or other personal property are always welcome. If you are considering such a gift, please contact us. One of the simplest ways to support the O Street Museum, a bequest provides a gift for the museum in your will or trust. A bequest is not subject to Federal or state estate or inheritance taxes and is deductible in calculating your taxable estate. You can provide now for a future gift to the museum by naming the O Street Museum Foundation as beneficiary of your life insurance and/or retirement plan. Naming the Foundation as beneficiary is a seemless, cost effective way to ensure your gift is administered to your specifications. Donating your residential, commercial or undeveloped property will be used to support the Museum while providing you with excellent tax benefits and reducing the responsibilities of ownership. Establishing a charitable remainder trust is a great way to ensure you and your loved ones receive designated regular lifetime payments and the O Street Museum Foundation receives the remainder at the end of the life of the trust. Donating appreciated stocks, bonds or mutual funds is quick, simple and may provide you with significant tax benefits. If you have questions on how you can provide future gifts to the Museum, please contact us. Please consult your financial advisor when considering a donation. 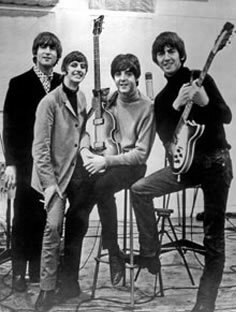 Hailed as the architects of the musical revolution of the Sixties, The Beatles are still considered one of the most prolific bands, ever. Their success was driven by a combination of factors, including songwriting genius and solid group harmonies that were a hallmark of their recordings. What set them apart was their steadfast belief that they were the best in the world. Their focus, ambition and hard work were devoted to that belief. The O Street Museum Foundation shares the creative process of this chart topping band through rare recordings, photos and memorabilia. 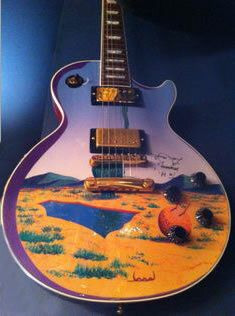 This guitar was a wedding gift to H & Ted from Les Paul. In keeping with The Mansion spirit he signed it upside down. A history of innovation and quality has led Gibson guitars to become the premier supplier of guitars the world over. Their rich sound, innovative design and legendary models have become classics, and are a testament to Gibson's wide appeal, spanning more than four decades of music styles. Thanks to the generous donations of Gibson, the O Street Museum Foundation collection includes over 60 signed instruments, played by both famous and wanna-be musicians who love the best, Gibson. Legendary songwriter, musician, artist and pacifist John Lennon embodies the mission of the O Street Museum Foundation through his own personal journey of evolution and exploration. 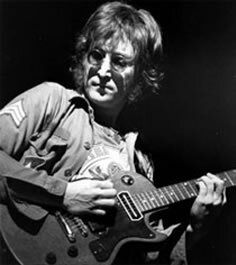 Always growing Lennon continued to promote messages of peace and love though his lyrics, music and performance art. The O Street Museum Foundation is proud to continue his efforts and pay tribute to this visionary with a collection that includes art, architecture, letters and rare studio performances that showcase his genius. Our support of Jonhn Lennon's mission extends beyond the O Street Museum Foundation. When The Rock and Roll Hall of Fame needed help funding an exclusive exhibit focused on John Lennon, the O Street Museum Foundation's founder raised $1m in cash and another $500,000 in-kind networking equipment to help bring this exhibit to life. Korean War veteran Davie Heck (the soul of The Mansion) worked for the Maryland Parks Department after completing his military service. Transitioning from military to civilian life can be a challenge and Davie fell on hard times,relying on alcohol and drugs to get him through. When he was arrested for passing out in his car on the highway, he was put in jail and then sent to a a halfway house, where a kind judge suggested to his parole officer he come here to work during the day. Wanting to help himself, at the end of his service there, he reached out to us for a place to stay, at no cost. Davie lived here for 25 years before he passed. His warm smile and genuine personality became a mainstay and beacon of hope for all those who came to The Mansion and O Museum. Davie entered our life, and became our saving grace. Nothing in life is random. There is a reason for everything. Its all about saying yes to what God brings you.